This image is from NASA’s Cassini Spacecraft as it made its final close approach to Saturn’s moon Mimas. In its season of “lasts,” NASA’s Cassini Spacecraft made its final close approach to Saturn’s moon Mimas on January 30, 2017. At closest approach, Cassini passed 25,620 miles (41,230 kilometers) from Mimas. All future observations of Mimas will be from more than twice this distance. Close approaches to Mimas have been somewhat rare during Cassini’s mission, with only seven flybys at distances of less than 31,000 miles (50,000 kilometers). 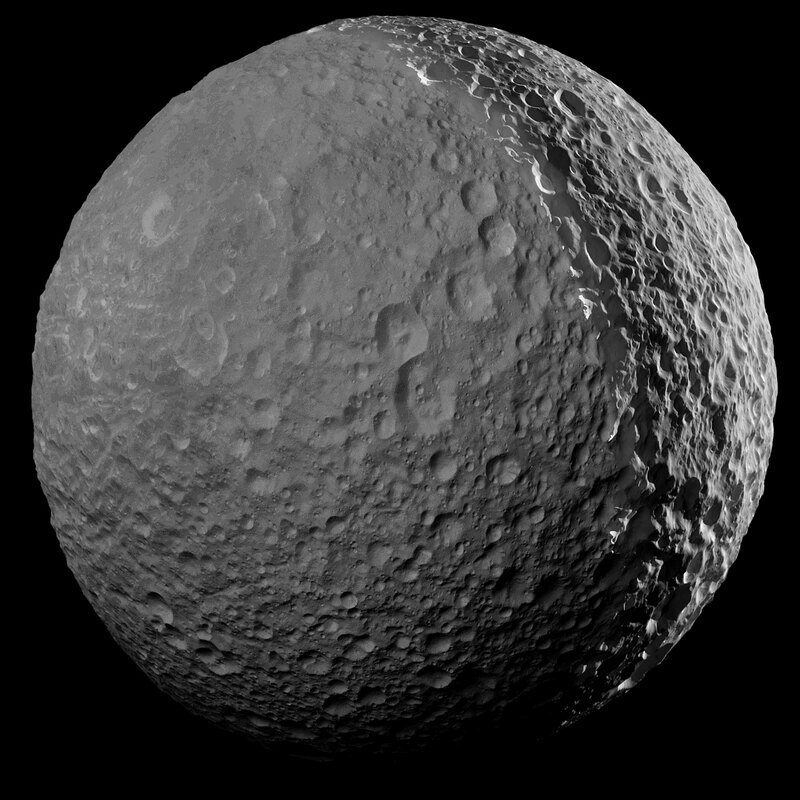 Mimas’ surface is pockmarked with countless craters, the largest of which gives the icy moon its distinctive appearance. Be the first to comment on "Cassini Spacecraft Made Its Final Close Approach to Saturn’s Moon Mimas"